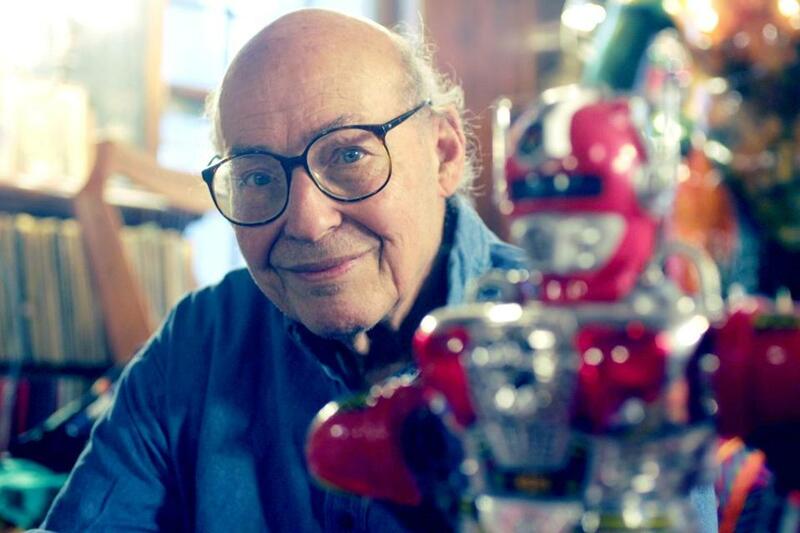 Marvin Minsky, photographed at his Brookline home on Dec. 4, 2006. While still a teenager, Marvin Minsky began focusing on what would become his life’s work: unraveling the mystery of intelligence. Dr. Minsky, a longtime Massachusetts Institute of Technology professor who was a founder of the field of artificial intelligence, died of a cerebral hemorrhage Sunday in Brigham and Women’s Hospital. He was 88 and lived in Brookline. In 1959, with his colleague John McCarthy, Dr. Minsky founded what is now MIT’s Computer Science and Artificial Intelligence Laboratory. Several years earlier, while Dr. Minsky was a doctoral student at Princeton University, he built what many consider the first learning machine, a neural network simulator. After Princeton, he was selected to be one of Harvard’s prestigious junior fellows and invented the confocal scanning microscope, which became a standard tool in biological sciences. At MIT, he built mechanical hands and an arm that were precursors to modern robotics. Meanwhile, Dr. Minsky attended the summer research conference at Dartmouth College in 1956 that led to the creation of artificial intelligence, which he helped refine and define in his MIT lab. Two of Dr. Minsky’s books — “The Society of Mind,” published in the mid-1980s, and “The Emotion Machine,” published in 2006 — examine the challenges of creating artificial intelligence. “Marvin always thought easy problems are actually very hard, and the hard ones are actually easy,” said Nicholas Negroponte, who cofounded the MIT Media Lab and was its first director. Born in New York City, Dr. Minsky grew up in Manhattan and the Bronx. He was the middle child and only son of Dr. Henry Minsky, an eye surgeon, and the former Fannie Reiser, a Jewish activist. He attended the progressive Fieldston School and then went to the Bronx High School of Science, until his parents sent him to Phillips Academy in Andover his senior year to increase his chances of getting into a top university. After high school, at 17, he enlisted in the Navy at the end of World War II and briefly was sent to the Midwest for electronics training in 1945. When the war was done, he went to Harvard, from which he graduated in 1950 with a bachelor’s in mathematics. He received his doctorate, also in mathematics, from Princeton in 1954. In 1952, he married Dr. Gloria Rudisch, a pediatrician. They moved to Greater Boston when he returned to Harvard as a junior fellow, and he later began working at MIT. His 1960 paper “Steps Toward Artificial Intelligence” is considered a seminal work in shaping the field, and Dr. Minsky’s collaborations in the 1960s through the ’80s with Seymour Papert, a computer scientist and educator, helped change perceptions of how humans learn. Among Dr. Minsky’s honors was the prestigious Turing Award, in 1969, for contributions to computer science. In 2014, he received the BBVA Foundation Frontiers of Knowledge Award in the information and communication technologies category. In addition to his wife, Dr. Minsky leaves two daughters, Margaret of Greenfield and Juliana of Santa Barbara, Calif.; a son, Henry of Newton; a sister, Ruth Amster of New York City; and four grandchildren. A private service will be held, and a celebration of Dr. Minsky’s life will be announced. “It’s easy to talk about his intellectual contributions because they were so dramatic, but he also contributed a kind of playful spirit,” said Hillis, who credited Dr. Minsky with inspiring the intellectual joie de vivre prevalent in academic and industry high-tech labs. One source of Dr. Minsky’s joy was music, and he was one of the few pianists who could improvise classical fugues. “He always said there were two kinds of people in life: composers and improvisers. Marvin absolutely was an improviser,” said Tod Machover, the Muriel R. Cooper professor of music and media at the MIT Media Lab. As with his other intellectual realms, “Marvin was fearless about asking basic questions about music that nobody else would ever ask,” Machover said. In an online edition of Dr. Minsky’s paper “Music, Mind, and Meaning,” which includes recordings of his playing, he invoked a musical example that easily could be a description of his own approach to explaining the complexities of intelligence.